On the Determinants of Child Health in India: Does Teenage Pregnancy Matter? Teenage pregnancy is basically associated with higher rates of adverse health consequences like morbidity and mortality of both teen pregnant and newly born babies, and thus has important implications for human resources and development prospects of a country. 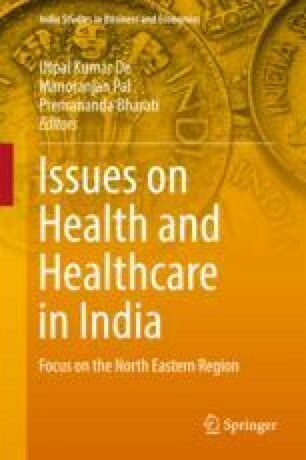 This paper tries to enlighten on the incidence of teenage pregnancy and its variations across states and Union Territories (UTs) of India. In addition, it also seeks to examine whether teenage pregnancy has any adverse impact on health status of children. Based on data from National Family Health Survey 3 (NFHS 3), analysis reveals that incidence of teenage pregnancy varies across place of residence, religion, caste, region etc. To find out the impact of teenage pregnancy on child health a multiple regression model has been estimated where the dependent variable child ill health index has been considered as a proxy for child health. The analysis reveals that teenage pregnancy is associated with poor child health status. Moreover, maternal care during pregnancy has been found to be positively associated with child health status. Moore, K. A., Morrison, D. R., & Greene, A. D. (1997). Effects on the children born to adolescent mothers. In Kids having kids: Economic costs and social consequences of teen pregnancy. Washington, DC: The Urban Institute. To order visit: http://www.urban.org/publications/106764.html.